For those of you heading off to school in the coming month I am secretly a bit jealous that you may be moving into a dorm room. Don't get me wrong, I'm not sure I would trade the single bedroom in my apartment for a shared shoebox size room but I sure did love the proximity to friends it provided and the memories made in those small spaces. It seems like yesterday that I was moving into my dorm room and having experienced dorm life for two years I feel like I was able to make the most out of the space I had. Because of my "expertise" (HA!) 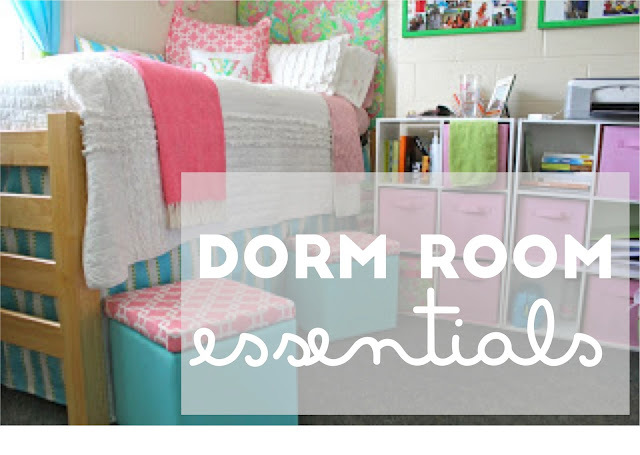 when it comes to dorm living I thought I would share some of my dorm room essentials with y'all in hopes of helping any of you preparing to move into a dorm utilize the space you do have in the best way possible. 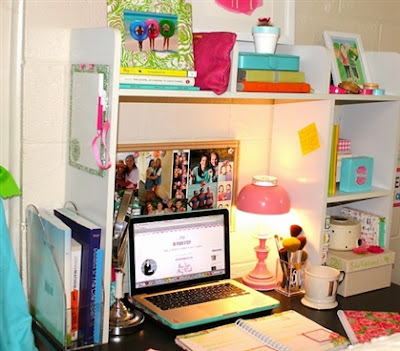 I talked about dorm closet organization in this post so if you haven't seen it yet it is definitely a good place to start! 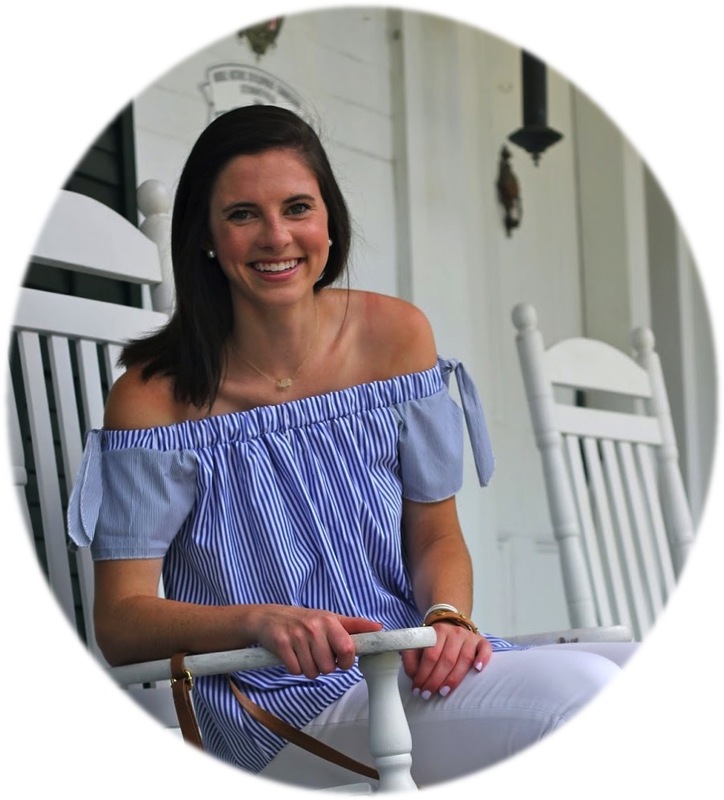 I have 10 essentials for you that will hopefully help moving into your dorm room a breeze and make it feel more like home from the get go! If you're anything like me and prefer to hoard school supplies and any sort of pretty paper good then you''ll definitely want to purchase this space saving desk hutch! Fortunately the one I purchased my sophomore year was under $50 and is still kicking as I enter my senior year of college. This was without a doubt one of the best purchases I made for my dorm room and ensures that I always have plenty of room to spread out when I choose to do homework in my room at my desk instead of the library! 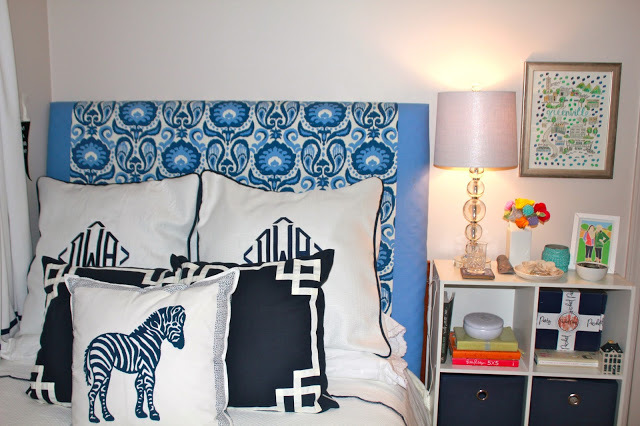 I love the look that a fabric headboard gives a room! Ever since my freshman year I've had one in my room and I think that it helps to make my room feel a bit more like home. Both my freshman and junior years I made my headboards (click on the year to see how I made each) and both are still in use. They are pretty inexpensive to make and honestly don't take much time or skill (not to sell myself short) either so if you're looking for a way to hide some of the white cinder blocks that your dorm room likely has this is a great option. 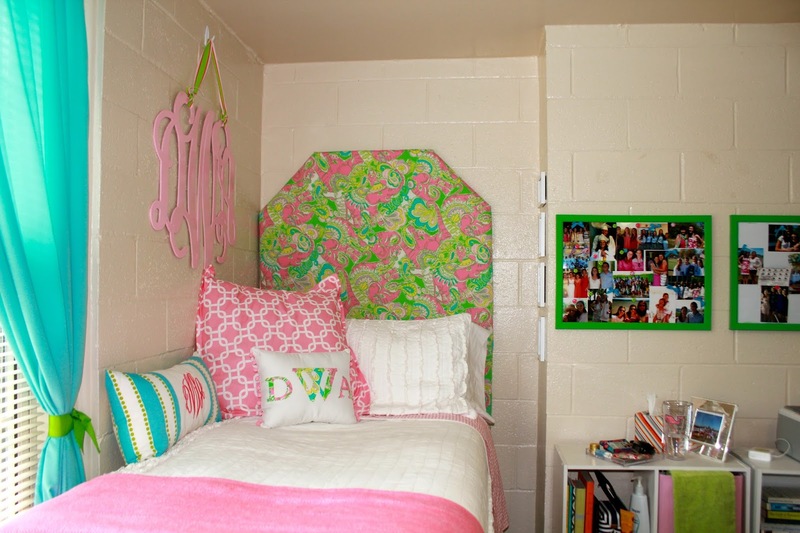 Even if you're not interested in making a headboard there are plenty of places that sell them specifically for dorm rooms with Room 422 being my favorite! While not exciting enough to have a photo of it in use both in my dorm room and at home a sound machine is a wonderful thing to have in noisy dorm rooms! Sound seems to carry through the halls in dorm rooms and the white noise a sound machine provides is the perfect way to drown that out and ensure that you're able to sleep well whenever you want! I completely blame my freshman roommate Nell for getting me hooked on these and I even use one at home where it's unnecessary but a comforting and familiar noise. Command Strips will more than likely be the only thing you're allowed to use on the walls of your dorm room as they are able to be removed without causing damage. I would recommend stocking up on a variety of different size and style command strips so that you don't have to run out and buy more on the day you're moving in and so that your parents can help you hang things up and make sure your pictures are straight. My favorite ones to use are the ones that are velcro on both side since my wall art already has those on them I only have to use one each time to re-attach the pictures to a new dorm or apartment wall! Fluorescent lights can be a bit harsh but that is what you will probably have in your dorm room so a bit of other lighting is always welcome. Having a desk and/or bedside table lamp will allow you to stay up later than your roommate without distracting them and provide a homier feel to your space. Confession time… I do not love getting ready with other people. Call me crazy but I like having my own space to get ready for my day in the morning and a personal makeup mirror sitting on my desk allows that to happen each morning. The thought of carting all of my stuff down the hall to a community style bathroom freshman year to get ready with other people was not appealing to me and I've kept a makeup mirror on my desk ever since. If you feel the same way I highly recommend purchasing one of these mirrors before heading off to school. I got mine from TJ Maxx for under $20 and have continued to use the same one all the way through college. You can see mine on the left side of the photo below for reference of what mine looks like! Another item I've used all the way through college is these storage ottomans I purchased from Target for under $20. They serve as perfect storage, seating, and even as a step stool in small dorm spaces. They are currently being used in our apartment living room as well to provide additional storage and act as a foot rest when we are looking to get extra comfy for a movie night and I can't recommend them enough. We have re-covered the tops of them twice and you can see how my mom and I did that in this post! Do not go to college without some way of making your bed a bit comfier. When mattresses are being mass produced for colleges comfort isn't the first thing in mind. A mattress topper that is similar to how your bed may be at home will make your room feel more like home and they aren't too expensive either! Mine freshman year was from TJ Maxx but you'll be able to find them at Target, Walmart, Bed, Bath, & Beyond, and basically any other place that is selling supplies for heading back to school! I was surprised to discover just how much storage my dorm room and apartment had but a couple of sets of plastic drawers is the perfect additional storage to help keep things organized and ensure that everything has its place. I like to keep one set under my bed and one in my closet and have continued to bring them back year after year! The ones I've linked are only $11 and you can get them shipped straight to school! For whatever reason my school doesn't enjoy putting doors on our closets and I don't exactly want all of my clothes exposed all the time since I think that would make a small room feel cluttered. As a solution to this problem I like to have a curtain to hang that covers up my clothes when that is the option! You can easily find something that matches your dorm room to make it more decorative and I can guarantee having your clothes unexposed will make your room look a bit cleaner as well! I'd love to know what products you find to be dorm room essentials in the comments below! I hope y'all have had a great weekend and are looking forward to more fun content to come this week on Prep In Your Step! Those are all great recommendations! Command hooks and strips are such a must if you plan on decorating at all. They made my freshman year dorm room look more like home and less like a prison cell lol! 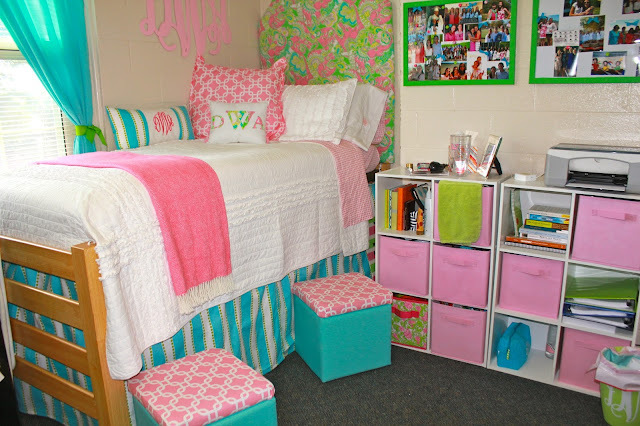 Gorgeous dorm room decor! Love how bright and homey your space is. Dorm room shopping is definitely one of those things I miss about college. 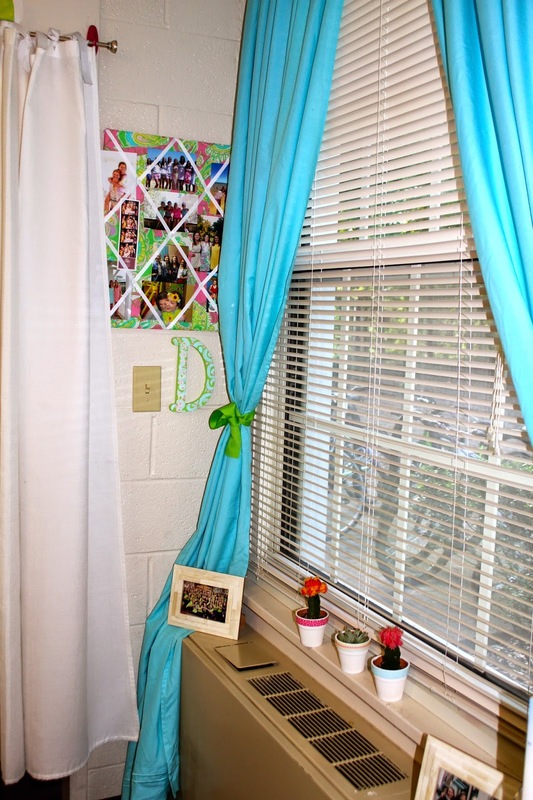 One of my dorm favorites was a metal shelf that I put over my bed that helped save space. 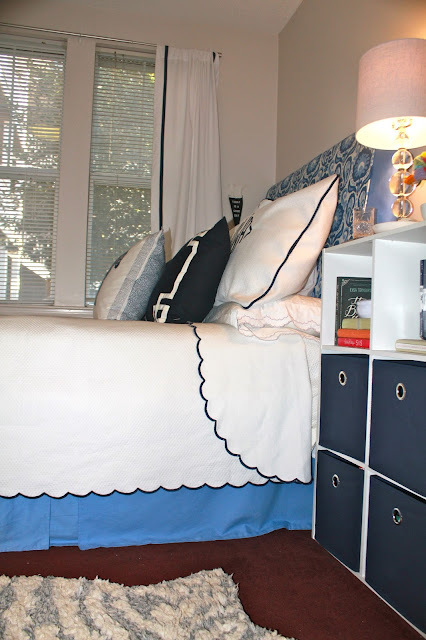 I also loved my bed risers to make my bed extra high so I could utilize the space underneath my bed. 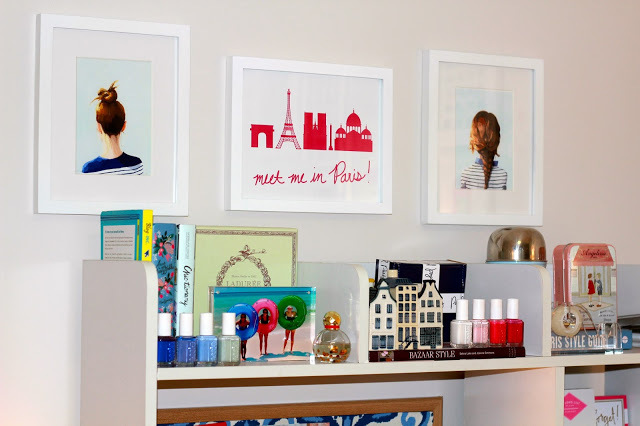 I'm so obsessed with your decor style!! My school wasn't a fan of closet doors either, thank god for tension rods! These are all so helpful- I'm a high school senior so I'll be saving this for next summer! Love all of your dorm rooms! invest a lot of UK Replica watches money in order to catch up with the other guys, possible Since you, it is a good idea “people.Pebble Watches Replica is characterized by color electronic paper display – kick starter fundraising website, has attracted Designer handbags more than 12 million US dollars (about 7.8 meters) from the masses more than 54 500 supporters of Replica Rolex Watches commitment.In order to help attract the debut of new interest in Pebble Beach, to see the version of handbagreplica .